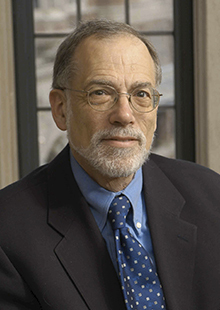 Alvin Klevorick is the John Thomas Smith Professor of Law at Yale Law School, and Professor of Economics in the Department of Economics at Yale University. His subject areas are antitrust and economic regulation, law and economics, torts, market organization, and economic theory. Alvin Klevorick is the John Thomas Smith Professor of Law at Yale Law School, and Professor of Economics in the Department of Economics at Yale University. His subject areas are antitrust and economic regulation, law and economics, torts, market organization, and economic theory. He has a B.A. from Amherst College, and an M.A. and a Ph.D. in Economics from Princeton. “The Plausibility of Twombly: Proving Horizontal Agreements After Twombly,” (with Issa B. Kohler-Hausmann) in Einer Elhauge, editor, Research Handbook on the Economics of Antitrust Law, Edward Elgar Publishing Limited, 2012. “United States Courts and the Optimal Deterrence of International Cartels: A Welfarist Perspective on Empagran,” (with Alan O. Sykes) Journal of Competition Law and Economics, Volume 3, No. 3 (2007). “United States Courts and the Optimal Deterrence of International Cartels: A Welfarist Perspective on Empagran,” (with Alan O. Sykes) in Eleanor M. Fox and Daniel A. Crane, editors, Antitrust Stories, Foundation Press, 2007. “The Oversight of Restructured Electricity Markets,” in James M. Griffin and Steven Puller, Electricity Deregulation: Where to From Here?, University of Chicago Press, 2005. “Notas sobre estructura económica y rule of law” (“Notes on Economic Structure and the Rule of Law”), Estado de derecho y democracia; Un debate acerca del rule of law, Editores Del Puerto s.r.l., 2001. “Crime as a Distinct Category of Behavior,” in The New Palgrave Dictionary of Economics and the Law, Macmillan, 1998. "The Race to the Bottom in a Federal System: Lessons from the World of Trade Policy," Yale Law & Policy Review/Yale Journal on Regulation Symposium: Constructing a New Federalism, 1996 . "The Fractured Unity of Antitrust Law and the Antitrust Jurisprudence of Justice Stevens," Rutgers Law Journal, Volume 27, No. 3, 1996. "Comments on Stephen Marks, 'Utility and Community: Musings on the Tort-Crime Distinction'," Boston University Law Review, February/April 1996. "Reflections on the Race to the Bottom," in Jagdish Bhagwati and Robert E.Hudec, editors, Harmonization and Fair Trade, M.I.T. Press, 1996. "The Economic Theory of Crime and the Problems of a Society in Transition," The International Journal of the Economics of Business, 1995. “On the Sources and Significance of Interindustry Differences in Technological Opportunities," (with R.C. Levin, R.R. Nelson, and S.G. Winter) Research Policy, 1995. "Comments on Clifford Winston and Robert W. Crandall, 'Explaining Regulatory Policy', " Brookings Papers on Economic Activity, Microeconomics, 1994. "The Current State of the Law and Economics of Predatory Pricing," American Economic Association Papers and Proceedings, May 1993. "Directions and Trends in Industrial Organization: A Review Essay on The Handbook of Industrial Organization," Brookings Papers on Economic Activity, Microeconomics, 1991. "Discussion of Alan Miller, 'Cleaning the Air while Filling Corporate Coffers: Technology Forcing and Economic Growth'," 1990 Annual Survey of American Law. "Regole economiche e attività illecite," ("Economic Rules and Illicit Activities in a Modern Metropolis") in IRER Progetto Milano, Equilibrio Economico ed Equilibrio Sociale in Una Metropoli Che Cambia, 1988. "Appropriating the Returns from Industrial R & D," (with R. C. Levin, R. R. Nelson, and S.G. Winter) Brookings Papers in Economic Activity, l987. "Monopolistic Competition and Consumer Information: Pricing in the Market for Psychologists' Services," (with T. G. McGuire) in T. G. McGuire and R.M. Scheffler, editors, The Economics of Mental Health Services. Advances in Health Economics and Health Services Research, Volume 8, JAI Press, 1987. "Strategic Behavior and Trade Policy," (with W. H. Branson) in Paul R. Krugman, editor, Strategic Trade Policy and the New International Economics, M.I.T. Press, 1986. "Four Tests for Liability in Torts," (with G. Calabresi) Journal of Legal Studies, December 1985. "Legal Theory and The Economic Analysis of Torts and Crimes," Columbia Law Review, June 1985. "On the Economic Theory of Crime," in J. Roland Pennock and John W. Chapman, editors, Criminal Justice, NOMOS, Volume XXVII, New York University Press, New York, 1985. "Information Processing and Jury Decisionmaking," (with M. Rothschild and C. Winship) Journal of Public Economics, April 1984. "A Welfare Analysis of Constraints on Pricing to Deter Entry," (with R. C. Levin) in R.F. Lanzillotti and Y. C. Peles, editors, Management Under Government Intervention: A View from Mount Scopus, Research in Finance Supplement 1, JAI Press, 1984. "Reflections on 'The Current State of Law-and-Economics Scholarship'," Journal of Legal Education, June 1983. "Discussion of Robert D. Willig and Elizabeth E. Bailey, 'Income-Distribution Concerns in Regulatory Policymaking'," in Gary Fromm, editor, Studies in Public Regulation, MIT Press, Cambridge, Mass., 1981. "Commentary on Warren Greenberg, 'Provider-Influenced Insurance Plans and Their Impact on Competition: Lessons from Dentistry,' and Clark C. Havighurst and Glenn M. Hackbarth, 'Enforcing the Rules of Free Enterprise in an Imperfect Market: The Case of Individual Practice Associations'," in Mancur Olson, editor, A New Approach to the Economics of Health Care, American Enterprise Institute for Public Policy Research, Washington, D. C., 1981. Roundtable Discussion on Predatory Practices in Steven C. Salop, editor, Strategy, Predation, and Antitrust Analysis, Federal Trade Commission, Washington, D.C., 198l. "Regulation and Cost Containment in the Delivery of Mental Health Services," in Thomas G. McGuire and Burton Weisbrod, editors, Economics and Mental Health, National Institute of Mental Health, Series EN No. 1, U.S. Government Printing Office, Washington, D.C., 198l. "Discussion of Roger R. Betancourt, 'The Analysis of Patterns of Consumption in Underdeveloped Countries'," in Robert Ferber, editor, Consumption and Income Distribution in Latin America, ECIEL, Organization of American States, 1980. "A Framework for Analyzing Predatory Pricing Policy," (with P. L. Joskow), Yale Law Journal, December 1979. "Discussion of Richard B. Stewart, 'The Resource Allocation Role of Reviewing Courts: Common Law Functions in a Regulatory Era'," in Clifford S. Russell, editor, Collective Decisionmaking: Applications from Public Choice Theory, Johns Hopkins, 1979. "A Model of the Jury Decision Process," (with M. Rothschild), Journal of Legal Studies, January 1979. "Jury Composition: An Economic Approach," in Bernard H. Siegan, editor, The Interaction of Economics and the Law, Lexington Books, 1977. "Jury Size and Composition: An Economic Approach," in Martin S. Feldstein and Robert P. Inman, editors, The Economics of Public Services, The Macmillan Press Ltd., London, 1977. "Discussion of Lewis J. Perl, 'Graduation, Graduate School Attendance, and Investment in College Training'," in Dean T. Jamison, Roy Radner, and Joseph N. Froomkin, editors, Education as an Industry, National Bureau of Economic Research, New York, 1976. "Comments on Melvin W. Reder, 'The Theory of Employment and Wages in the Public Sector'," in Daniel S. Hamermesh, editor, Labor in the Public and Non-Profit Sectors, Princeton University Press, Princeton 1975. "Law and Economic Theory: An Economist's View," American Economic Association Papers and Proceedings, May 1975. "Existence of a 'Local' Cooperative Equilibrium in a Class of Voting Games," (with G. H. Kramer), Review of Economic Studies, October 1974. "The Behavior of a Firm Subject to Stochastic Regulatory Review: Correction," Bell Journal of Economics and Management Science, Autumn 1974. "Discussion of 'Concepts of Distributional Equity'," American Economic Association Papers and Proceedings, May 1974. "The Behavior of a Firm Subject to Stochastic Regulatory Review," Bell Journal of Economics and Management Science, Spring 1973. "Social Choice on Pollution Management: The Genossenschaften" (with G. H. Kramer), Journal of Public Economics, April 1973. "A Note on 'The Ordering of Portfolios in Terms of Mean and Variance'," Review of Economic Studies, April 1973. "Money Illusion and the Aggregate Consumption Function: Reply" (with W.H. Branson), American Economic Review, March 1972. "Food Prices in Relation to Income Levels in New York City" (with R. E. Alcaly), The Journal of Business, October 1971. "The Graduated Fair Return: A Further Comment," American Economic Review, September 197l. Review of Shlomo Reutlinger, Techniques for Project Appraisal under Uncertainty in Economica, August 1971. "The 'Optimal' Fair Rate of Return," Bell Journal of Economics and Management Science, Spring l97l. "Input Choices and Rate-of-Return Regulation: An Overview of the Discussion" (with W. Baumol), Bell Journal of Economics and Management Science, Autumn 1970. "Judging Quality by Price, Snob Appeal, and the New Consumer Theory" (with R. Alcaly), Zeitschrift fur Nationalokonomie 1970. Higher Education in the Boston Metropolitan Area: A Study of the Potential and Realized Demand for Higher Education in the Boston SMSA (with E. Bartell, A. Corazzini, D. Dugan, H. Grabowski, J. H. Keith, Jr.), Commonwealth of Massachusetts, 1969.
Review of Howard Raiffa, Decision Analysis in The Journal of Finance, December 1969. "Money Illusion and the Aggregate Consumption Function" (with W. H. Branson), American Economic Review, December 1969. "Risk Aversion Over Time and A Capital-Budgeting Problem," Cowles Foundation Discussion Paper No. 268, March 1969, presented at The Winter Meetings of the Econometric Society, Chicago, December 1968, and at the XVII International Conference of The Institute of Management Science, London, July 1970. "Absence of Money Illusion: A Sine Qua Non for Neutral Money?" (with E. J. Kane), Journal of Finance, September 1967. "Capital Budgeting Under Risk: A Mathematical-Programming Approach," Econometric Research Program Research Memorandum No. 89, Princeton University, September 1967. "Mathematical Programming and Project Interrelationships in Capital Budgeting," presented at the International Symposium on Mathematical Programming, Princeton, August 1967. "Report of the Conference on Academic Research Interests in the Proposed Revision of Handbook II: Financial Accounting for Local and State School Systems" (with A. Corazzini) for the United States Office of Education, May 1967. "Mathematical Programming and Capital Budgeting Under Risk," Econometric Research Program Research Paper No. 14, Princeton University (September 1966), presented at The Institute of Management Sciences Thirteenth International Meeting, Philadelphia, September 1966. "The Graduated Fair Return -- A Regulatory Proposal," American Economic Review, June 1966. "A Note on a Keynesian Aggregate Employment Function," International Economic Review, May l966. "A Note on the Dual Prices of Integer Programs" (with R. Alcaly), Econometrica, January 1966.